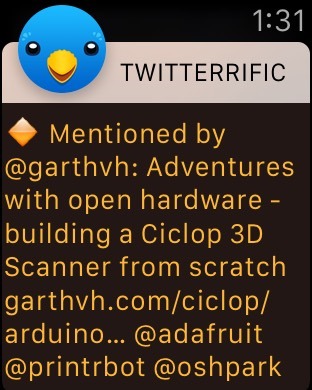 WATCH THIS WEDNESDAY – Apple Watch + Twitterrific @twitterrific #AppleWatch « Adafruit Industries – Makers, hackers, artists, designers and engineers! Fast forward 10 years and now at Adafruit and we have watch kits of our own (and others), tons of wearables and for the most part it’s an entirely new wrist real estate landscape out there. 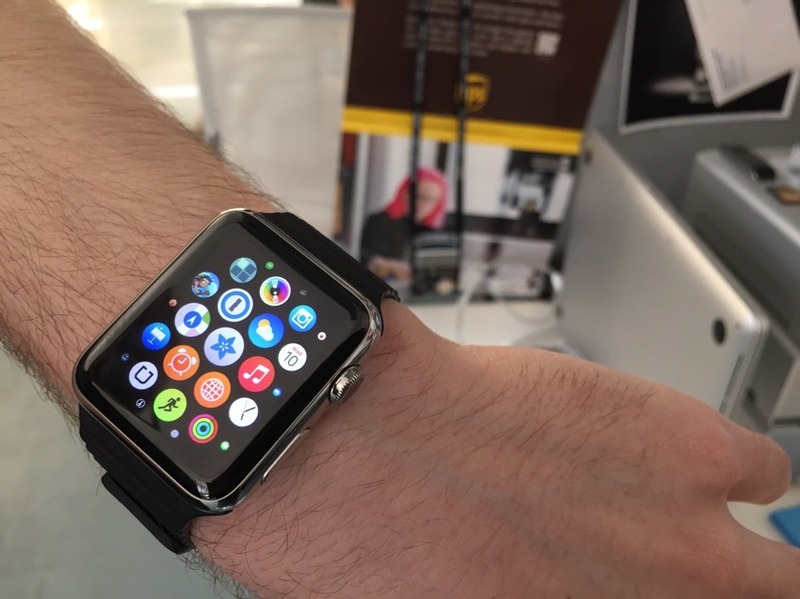 We’re currently developing an Apple Watch version of our popular app, Bluefruit, which allows bluetooth control of devices, all over bluetooth (great for controlling robots, etc). That’s Collin’s watch and arm, pictured above. 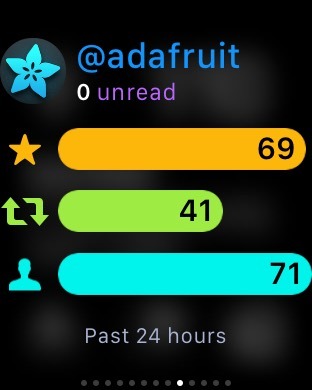 Any way, while we’re testing and using the Apple Watch, we’ll post up some apps we’ve tried out or found useful, the first one is Twitterrific. 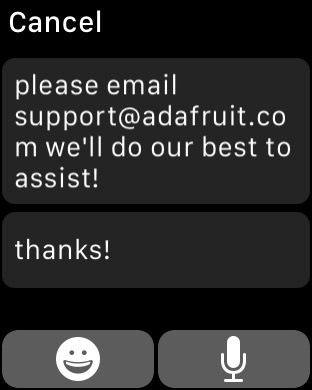 Used in conjunction with an iOS device you get alerts pushed to your watch and can quickly reply back with user-defined replies, dictate responses, retweet and more. 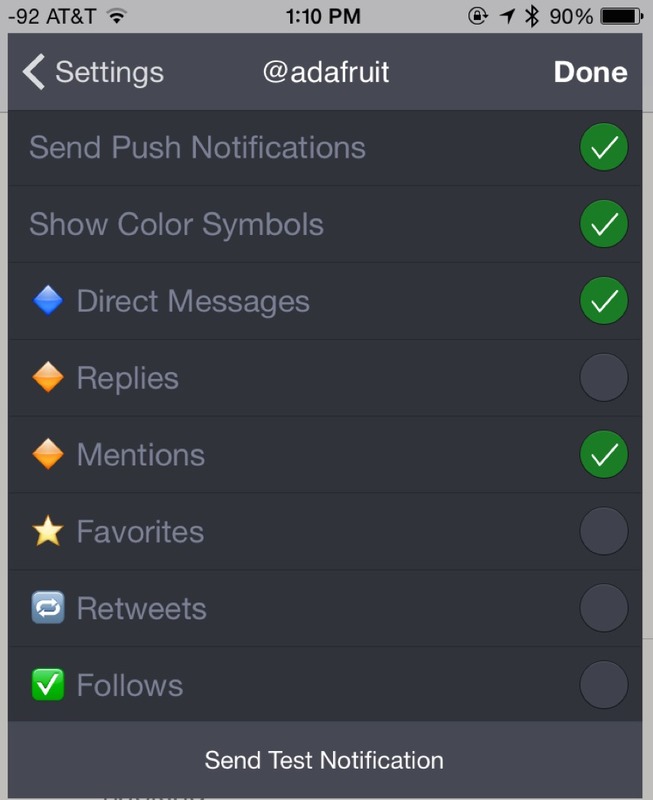 It also has a nice at-a-glance feature. Super handy and useful for looking at tweets quickly. RSS feeds on a watch – 2005.